Running a small business is a lot like powering a car, and the only way to keep it moving down the road is to fuel it. Capital and funding are the fuel that drives small businesses, and your financial strategies can be the difference between opening a second location in the new year or laying off staff. While there is no such thing as “free money,” grants are an excellent way for small businesses to keep the engine moving forward in the new year! And unlike small business loans, they don’t need to be paid back if you use the funds correctly. In this article, we’ll round up our favorite places to find small business grants in 2018, so you can get a head start as we approach the new year. Uncle Sam cares about small businesses and the many agencies of the Federal Government offer grants for specific industries and geographical regions. SBIR has been around for years and helps small businesses engaged in scientific research that have commercial potential. Not every company will qualify for this grant, but if you do, your research and commercial viability will receive a significant boost. Visit the SBIR website for more information. The SBA was created to help small business owners secure lending solutions to make their dreams a reality. They also offer a few grants for small businesses in particular industries, producing various types of products. One of the most well-known grants being the InnovateHer challenge. This awards $70,000 to small companies that provide products and services specifically for women and their families. While not a specific grant provider, this government will provide small business owners with different funding options available for them. Business owners only need to input information about their business, their special group status, and how they would spend the funding. After the questionnaire, the portal will provide a list compiling all of the federal grants they are eligible for. Give it a try and see what grants your business could receive! The Federal Government issues many different challenges for individuals and businesses involved in a variety of public services. Visit the Challenge.gov website, which has a complete list of challenges available. Also expect new challenges to be posted for 2018. You may think that USDA grants only apply to farmers, however, they also support small businesses located in rural communities via the Rural Business Investment Program. 20% of the population in the U.S. lives in these rural communities, and there’s a good chance your small business is eligible for this program if it operates in one of these communities. If your business is an up-and-coming technology research and development company, you may be eligible to work with NASA – talk about shooting for the stars! They offer their own SBIR and STTR programs for businesses focused on alternative energy and energy efficiency. If your company specializes in power, give them a shot! 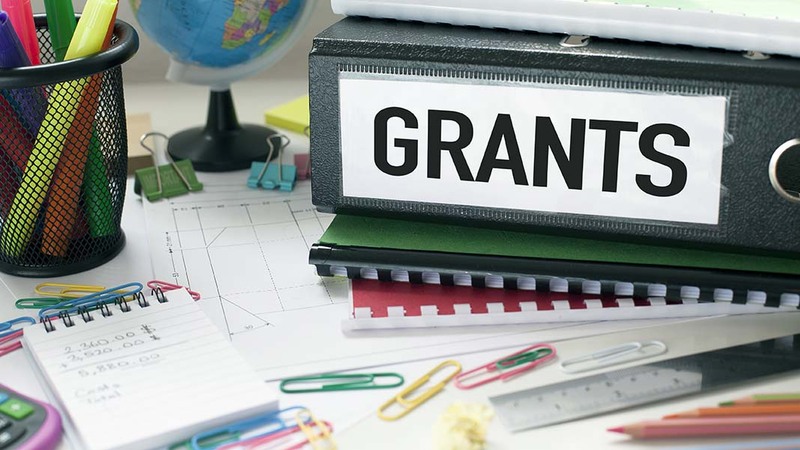 The government isn’t the only grant provider in the U.S., in fact, there are hundreds of grants available for small businesses. These are provided by some of the most prominent brands in the world. This is a series of three challenges meant to test start-up’s ingenuity, creativity, and innovative commerce ideas. Last year, Visa selected 600 start-ups to compete in the challenges, which awarded the winners up to $50,000 each. Check out their website for more information. Each year FedEx puts on a contest for small businesses across the country. The grand prize winner takes home $25,000 in cash, along with print and business services worth $7,500. Visit their site to see the 2017 winners and stay tuned for the entries for 2018, which should be coming in the next couple of months. Exclusively for female business owners, the Amber Grant awards $500 each month to qualifying women entrepreneurs. And the monthly grand prize winners receive a $2,500 grant. Visit their site for more details on the grant and how to apply. For businesses with fewer than ten employees, you can apply for grants worth up to $4,000 from NASE. You have to be a member of the association. Once you are you can easily apply for one of their grants. The best part is that this grant can be used for a variety of business needs including hiring part-time employees, marketing, office equipment, and more! Launched in 2016, Lending Tree’s small business grant contest awards a $50,000 grant at the end of the year. They are just wrapping up the contest for 2017 and should be launching the competition for 2018 shortly. Visit their website for more information. We wrote about this last year, and is still one of the best grant contests available. Business owners pitch their idea to Shark Tank’s very own Daymond Johnmil in five different major U.S. cities. Winners will receive a $20,000 prize and then move on to the national competition. There they will have a shot at the $100,000 grand prize. This is one of the best awards out there for small businesses. Keep an eye on the Tap the Future website for details on the 2018 competition. Idea Cafe is dedicated to providing forward-thinking entrepreneurs with the tools (and capital) they need to succeed. They offer an annual $1,000 grant however their website is full of other grants and guides for small business owners. There are thousands of small-business grants available, and we could not list every single one of them. Do your research and visit the grant-finding portals online to find a small business grant that perfectly fits your company’s goals. You’d be surprised how easy it is to discover “free money” these days! 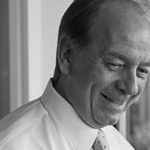 David Sederholt is a serial entrepreneur who has conceptualized, launched and built numerous companies in a variety of sectors over the past 40 years, including the restaurant industry. Newly retired Chief Operating Officer at Strategic Funding, he began working in Biomedical research but always felt a strong pull towards entrepreneurship.